¡Qué bonito! Tu fotografía es espectacular Robert, es como tenerlo casi en vivo enfrente de uno ese regalo de la naturaleza. Nice! I like how at first glance the branches almost make you envision a big snowflake. The DOF is nice on this one too. This is quite nice. Well done. I assume you photographed it indoors. Wow, excellent work. It's beautiful. How much time did you have before the snow stared melting? Querido amigo, gracias una vez más por regalarnos estos instantes mágicos y tan bellos. Mis mejores deseos para ti y toda tu gente amigo mío. Os lo mereceis. Robert, en mi blog hay regalo navideño, me gustaría pases a buscarlo y se te cumplan. So absolutely perfect... Nossa Senhora dos Milagres abencoe o nosso caminho. Ves como me lembrei? Beautiful and Lovely shot !! Simply nice and beautiful !! Great post !! Gorgeous captures, Robert. The snow crystals remind me of inside geodes. Excellent! 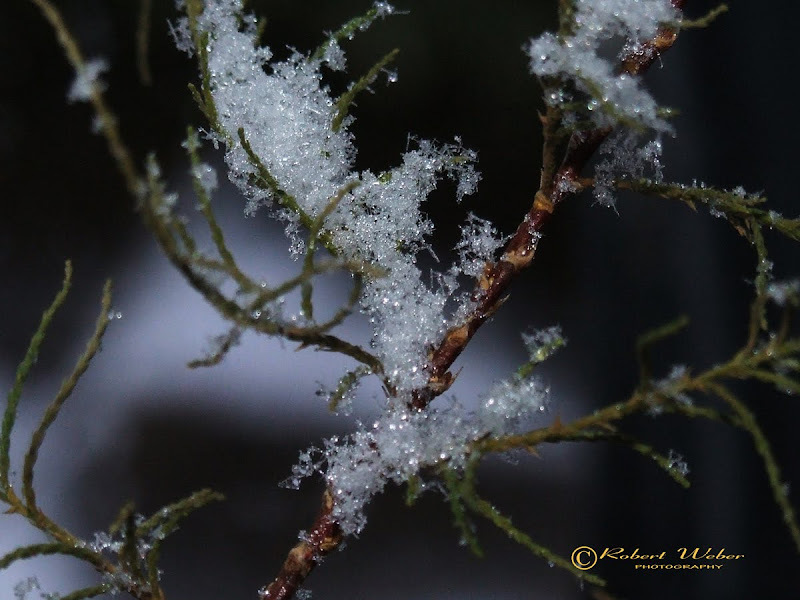 The snow crystals was really beautiful! I`m still waiting for the snow to arrive, and it will snow tonight:-) Me and my camera is so ready! I`m really looking forward to take some beautiful winter-pictures!